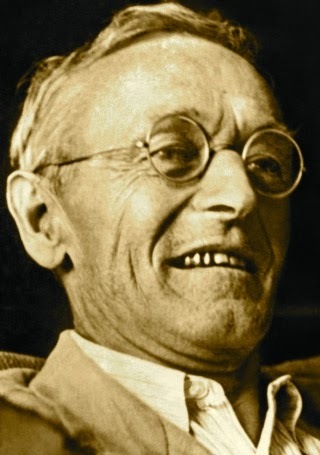 A Year of Being Here: Hermann Hesse: "Sometimes"
"Sometimes" by Hermann Hesse, as translated online from the original German by Anne E.G. Nydam (April 8, 2014). Note from the translator: "The original rhymes, but the standard English translation I found does not, so I thought I’d try my hand at a rhyming version. I admit I'm not happy with the middle verse, but you can see ... the translation by Robert Bly here." Art credit: "Howling Away at the Gray," photograph by Shreve Stockton.